A celebration of love from StoryCorps. 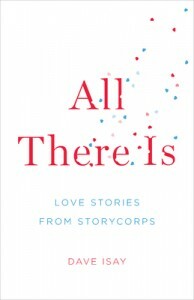 In All There Is, founder Dave Isay shares stories of love and marriage from the revolutionary oral history project, revealing the many and remarkable paths that relationships can take. From the excitement and anticipation of courtship to the deep connection of lifelong commitment, we discover that love is found in the most unexpected of places-a New York toll booth, a military base in Iraq, an airport lounge. As the storytellers in this book start careers, build homes, and raise families, we witness the life-affirming joy of partnership, the comfort of shared sorrows, and profound gratitude in the face of loss. These stories are also testament to love’s remarkable endurance. Love survives discrimination, illness, poverty, time-even death. In the courage of people’s passion we are reminded of the strength and resilience of the human spirit and its enduring capacity to begin anew. This powerful collection bears witness to real love, in its many varied forms, enriching our understanding of that most magical feeling. 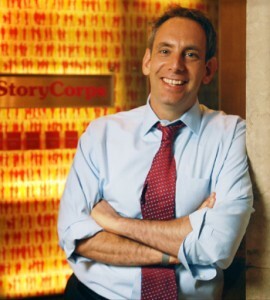 Dave Isay is the founder of StoryCorps and the recipient of numerous broadcasting honors, including five Peabody Awards and a MacArthur “Genius” Fellowship. He is the author/editor of numerous books that grew out of his public radio documentary work, including two StoryCorps books: Listening Is an Act of Love (2007) and Mom: A Celebration of Mothers from StoryCorps (2010)—both New York Times bestsellers.